Event Description : COMEDY SHOW "Crown Jewels" English Stand-up comic act by Rasik Chopra. 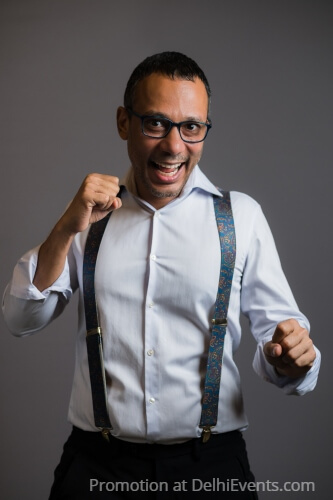 Comedian Rasik Chopra returns to the stage after his smash hit, Family Jewels, to showcase his irreverent sense of humour and madcap take on life. Join us as he looks back at a life well-lived, a paunch well-stuffed and a family well-disappointed.